You don’t have to carry your iPhone around to enjoy music, your Apple Watch is capable of making your music time more amazing than ever before. You can control you music as well as replay it, shuffle it and many more thing with you Apple Watch. Now you can enjoy your music like never before with Apple Watch. Just wear it on you wrist and then you don’t need to access your iPhone again and again to change to music or replay it . You can just do these work right on your wrist with your Apple Watch easily. Ready to download and try Apple Watch music apps? 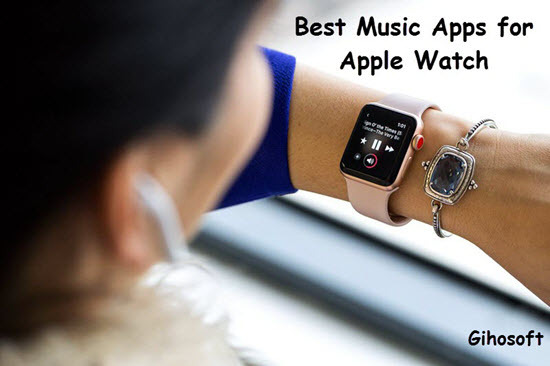 Either for holding you customize your favorite radio stations or keeping you hooked on the music you mostly long to concentrate, here the 9 best music apps for Apple Watch are actually easy to use. Tips: If you lost any voice memo that record something important or a music track, you can always use Gihosoft iPhone Data Recovery to get them back for free with/without backup. Shazam is a tremendous music app that is certain to bring a pleasant experience of enjoying music on your Apple Watch. With the utilization of this music app, you can enjoy amazing songs on your Apple Watch. Simply swipe up to check the past songs. 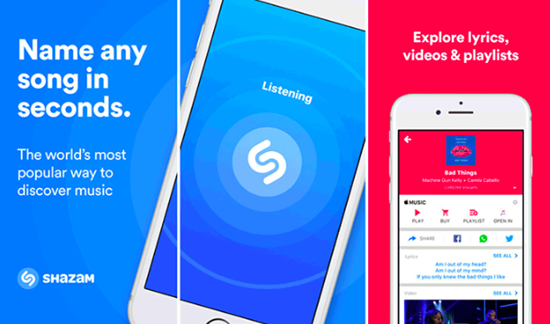 You can activate Shazam listener to let it realize new tunes for you. With the use of handoff on Apple Watch, you can purchase songs on iTunes and even catch up with videos. Pandora Radio has continuously been an impressive music app for iOS users. In its latest version it adds support for Apple Watch, which permits you to find the music by the song name and singer’s name. Moreover, it currently helps you to pause playback and even modify the song right from your wrist. It is equipped to form your favourite playlists within the best potential manner. 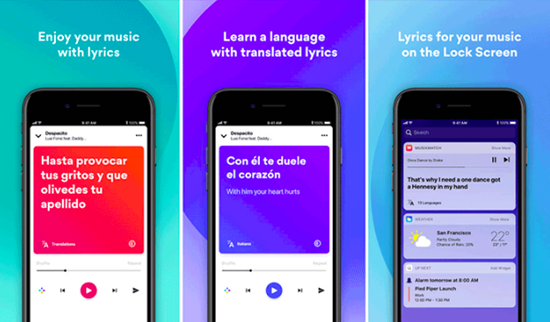 Simply begin with the song, genres, or creator and this app can instantly present you the list of songs that you mostly crave to concentrate on. You can produce your custom station to play only your most well-liked songs. It permits you to make as many as one hundred personalized stations. With this app putting in on your Apple Watch, the complete world of music are simply a tap away from you. 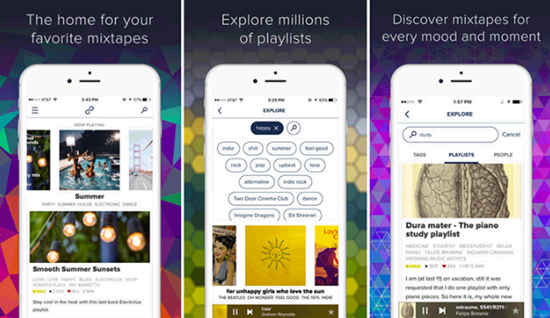 SoundHound provides you a singular experience in music search and discovery. it’s equipped to spot songs being played around you in a very quick time. Once you will get to know about any song, you play it, see its lyrics, share it on Facebook or Twitter, add to your Spotify or radio listing or purchase it . Also, you’ll access the unforgettable photos of artists and their biographies. This app has been updated to indicate song names and lyrics fantastically scrolling with the song played on your Apple Watch. With simply a tap on your Apple Watch, you’ll find a song. 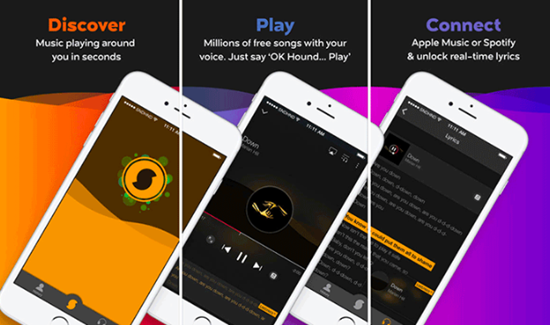 All of your songs are saved on SoundHound, you can launch it to play or purchase any song. Moreover, it permits you to change iTunes station on your iPhone or iPod as well. With SoundHound, you may never miss an opportunity of listening to any song and enjoying them. 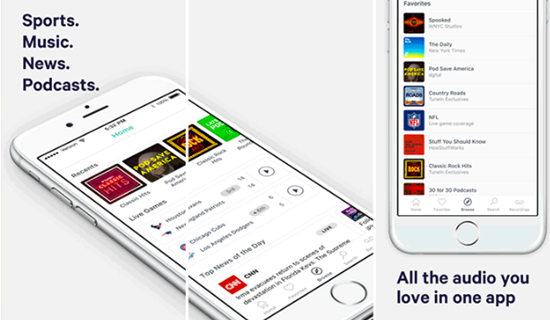 With over 100,000 radio stations that include sports, news music, and speak radio, TuneIn Radio pro is totally ads free, you’d forever want tuning in to that. It allows you to record your favourite music so you’ll hear it anytime you would like on your Apple Watch. This app allows you to vary stations, switch to new and connected stations, pause and skip contents, follow stations and shows on Apple Watch. you’ll quickly read the lyrics of the songs playing live to your home feed. 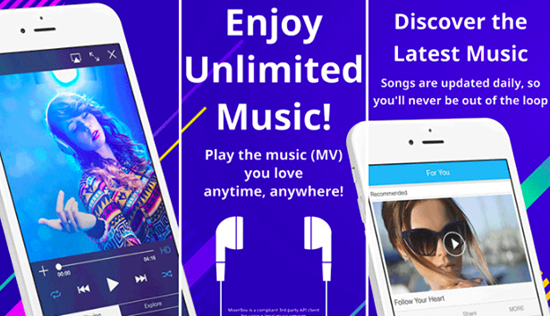 If you want simply an easy music app, you would like to present it a serious look. Overcast has been increased to be compatible with Apple Watch. it’s been optimised to consume less battery on your Apple Watch. 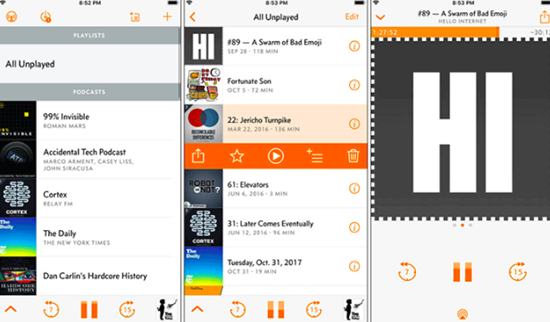 Overcast has some helpful options like Good Speed, Voice Boost, and Smarter Playlists to allow you to listen to podcasts as handily as you need. you can transfer podcasts to catch up with them anytime you would like. It permits you to look and browse new podcasts. Also, you get recommendations on Twitter for concerned podcasts. You can produce your own playlists as per your feeling. Through push notifications, you will always get notified by this app whenever any new episode arrives. Musixmatch has come back up with a fascinating UI style for Apple Watch. you can scan lyrics while paying attention to music on your watch. The redesigned look for the Watch could be a lot neater than ever before. This music app has many lyrics catalogs. 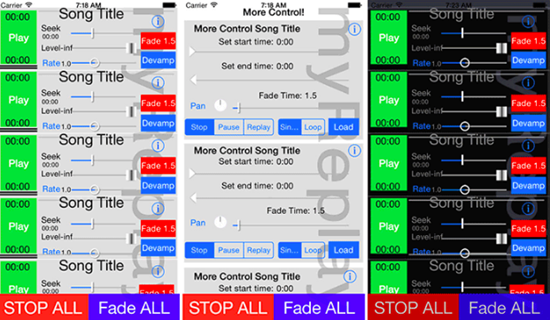 It allows you to play various varieties of music with synced lyrics. you can quickly search the lyrics of any song and be able to play it on YouTube. In case, you forget the title of the song you would like to play, simply find a part of the lyrics, type in the app and it’ll give the song for you instantly. Your emotional lyrics are kept in your personal profile that you can access from musixmatch.com too. MixerBox is one of the best music apps in the world. It helps you to play music from YouTube and iTunes. This app makes an automatic listing supported your Facebook likes and share. You can simply determine and play the highest rated playlists among your Facebook friends. If you would like to make your music experience exciting and play music on your Apple Watch, this music app would be a top-notch choice for you. With Apple Watch right on your wrist, you can control myReplay effortlessly. It features 5 playback hotkeys to allow you to enjoy your music without any inconvenience. The hotkeys enable you to feature songs from iPod library, control volume, pause or single-play and can do lot more effortlessly. If you would like to line the pan to center, left or right, simply bit the word “Pan”. Simply touch the word “Rate” to reset the speed to its usual speed. If you’re searching for a music app to boost your music time, myReplay is the right possibility for you. This is a superb music app for your Apple Watch. It offers you a spread of music that features rock, classic rock, jazz or punk, Afrobeat, Krautrock, and indie pop. 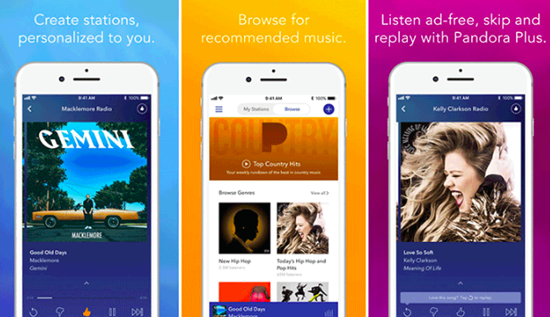 With nearly two million playlists, this music app strives to win you over with its extraordinary collections. it’s YouTube and SoundCloud integration that impressively enhances your music playing expertise. In its newest version, you may be charmed to check the animated playlists on your Apple Watch. You’ll be able to review playlists and even be able to look through the future playlists. The new Home screen displays that songs you listen the most. You can share your favorite music on Facebook, Twitter and even be able to send it as email, text or link. As it doesn’t have any audio ads, you’d still listen to your melodious songs without any disturbance. If you’re in quest of a music app that may allow you to enjoy your excellent music at its best, this app deserves to get on your Apple Watch. So these are the some music application from that you can use to listen to music on Apple Watch. Some of them are free and some of them are paid, you can get all these application directly from the App Store. These apps will help you to listen music and control it directly from you Apple Watch, so that you don’t have to take your iPhone out again and again from you pocket. You can change the music, replay music, skip the music and many more on Apple Watch easily. If you have any question or other suggestion, welcome to share with us by commenting down.